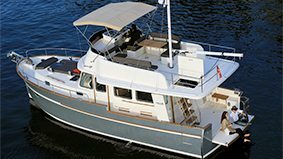 The Rhea 36 Trawler is the latest addition to the Rhéa-Marine Trawler range. 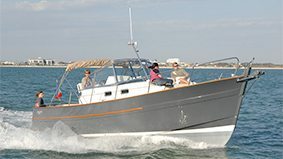 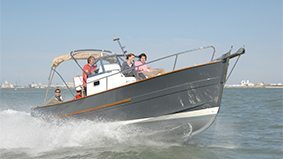 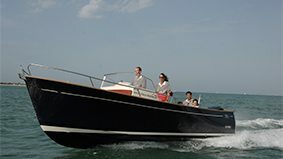 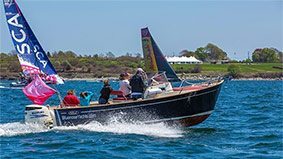 With its elegant lines and classic sea excursion appearance, this boat offers all the necessary comforts for cruising. 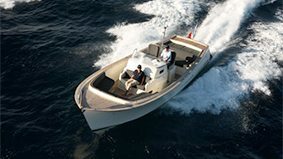 Modern in design, the Trawler 36 can ground safely thanks to the shape of its hull and the protected propeller and rudder. 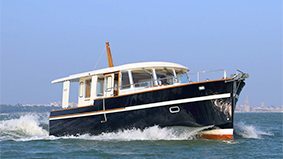 In addition, its carefully designed hull offers limited drag and a sharp clean entrance whilst the tunnel propellers optimise consumption.